"Launched back in 2001, Apple's iPod has arguably become the most iconic electronic device of the 21st century. With sales of over 100 million units, the iPod has dominated the market for portable audio—and now video—players...during the iPod's ascension, Microsoft worked with various hardware partners on all sorts of would be iPod killers, with little success. Then Redmond took matters into its own hands, creating the Zune media player to directly challenge Apple's iMonopoly. On paper, the Zune looks like a competent challenger, too; it has a much larger screen than the iPod, integrated wireless capabilities, and support for subscription-based music services. But is it any better than Apple's status quo? I've spent three months with an iPod and a Zune to find out, and the answer might surprise you." This is one of the best, most fair-minded reviews of the Zune that I've seen in a long time. It pulls no punches, but also isn't as iPod-biased as nearly everything else I've seen out there. In fact, he's one of the few people that has the guts to actually criticize the iPod's much-vaunted scroll-wheel that, in truth, is much harder to use and control than the Zune's much-criticized control pad. If you're looking for a comparison between the iPod and the Zune, this is a great resource. One thing made me chuckle though: I'm constantly amazed at how completely polarizing the brown Zune is!. 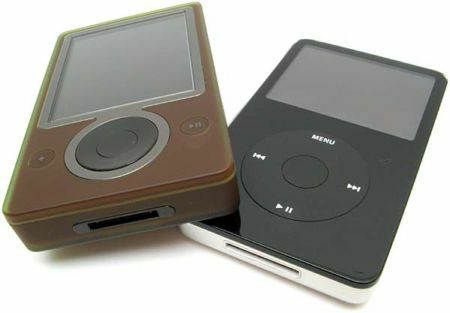 In this article, the author spends several paragraphs trashing the brown, but one of the few Zune owners I know bought the brown and quite likes it. Brown is a very popular colour nowadays, especially among young urbanites, and those cool indy-music-hipsters that Microsoft wanted to appeal to. I wouldn't buy a brown Zune myself, but I can completely understand why Microsoft released one.